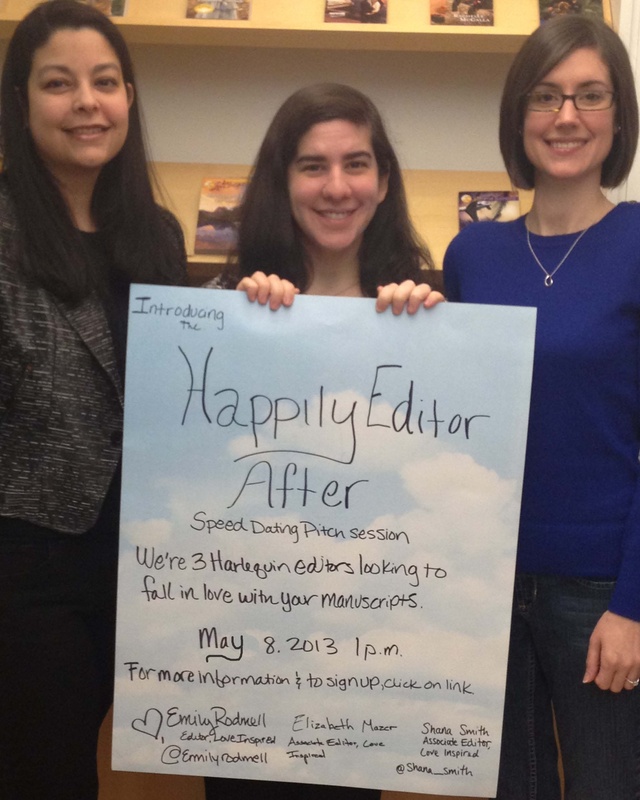 May 8, 2013 at 1 p.m.
Love Inspired Editor Emily Rodmell and Associate Editors Elizabeth Mazer and Shana Smith are looking to fall in love…with your manuscripts. If you think your story will make our hearts pound and palms sweat, then we have a great opportunity for you. We’re are on the prowl for new authors for Love Inspired, Love Inspired Suspense and Love Inspired Historical, and we’ll listen to your ideas in a new speed dating pitch opportunity called Happily Editor After. This opportunity is open to anyone who has never been published with the Love Inspired lines and who doesn’t currently have a full manuscript under consideration with a Love Inspired editor. It only requires that you get a synopsis ready and have a desire to write for the inspirational (Christian) romance market. You’ll have a chance to peruse our online matchmaking profiles and pick the editor who you think would love your story. Then you’ll get to pitch her your idea in one paragraph, and your chosen editor will respond by filling out the following comment card with her first impression of the idea. Just like with online dating, polish your pitches and put your best foot forward. Pay attention to our likes and dislikes so you can pick the right match for your manuscript and wow us with your work. Start those manuscripts now so that if you get a request, you can send it in. While full manuscripts aren’t required for the pitch, just like real dating, the more you have to offer, the more interested we’ll be. Please be sure to mention in your pitch how much of the manuscript is completed. A similar pitch session in 2012 resulted in 9 contract offers, so don’t let this opportunity pass you by. You can do it! Like I said, I know it works because I was one of those 9! My book, Warning Signs will release October 2013! Feel free to ask me any questions! I would be glad to help. Hi, there, Scribe fans. Suze here. By now you’ve probably read Sugar’s post from a few days ago about the process she went through over the last year, ultimately culminating in her getting a fab agent and an even fabber three-book deal. (Click here to read it). Since I’m in the same spot she was a year ago, querying and hoping to land an agent and sell my manuscript, I thought I’d give you a run-down on how things are working for me. Despite the fact that I completed this manuscript a couple of years ago, I was never satisfied with the opening chapters and so I only submitted it a couple of places, and was summarily rejected. After rewriting Chapter One about eight times and tightening up my timeline this past summer, I finally had it where I thought it was marketable. I wrote a query letter and a synopsis, fixed them both with the help of colleagues/friends, and finally began the query process in earnest in September. As one of my favorite rerun detectives, Adrian Monk, might say, here’s what happened. September – Queried seven agents/editors (two of these were requests from a conference). Two requests for partials. October – Queried three agents. Two requests for fulls. Two form rejections. One rejection on a partial, but a very nice one (bummer! She liked it overall, loved aspects of it, but she just didn’t love it enough). November – Queried four agents. Felt like I needed to get some energy moving on stagnant requests, so embarked on closet-cleaning and clutter-clearing in an effort to feng shui my writing career. Unfortunately, this did not have the desired results: Received one rejection on a full because she wasn’t representing my genre, but suggested I submit to another agent in the office. Then received one rejection on a partial because she wasn’t representing my genre, but she “loved my voice” and would be interested in a YA or contemporary if I ever wrote one of those. December – Queried three digital-first presses. One rejection on a full, but she did have nice things to say. Depressed! I really wanted that one. One form rejection. Two requests for fulls. Kathryn Stockett’s The Help was reportedly rejected 60 times. Harry Potter was rejected by 12 publishing houses. I’m not in the depths of despair yet! Where are you in your writing journey? Where do you want to be? So you’ve written a book. Yay! And you’ve edited it until it’s sparkly and shines. Double yay! You spent months pouring your blood, sweat, tears, heart and soul to complete your masterpiece. Some people submit directly to a small press or epublisher. 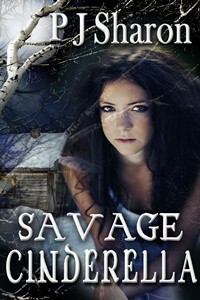 Others take the huge leap into indie publishing. But so many of us search for a literary agent. And what do all agents require? An awesome query letter. UGH! I don’t know about you but I find writing queries way harder than writing a book. It’s hard to compress an entire book into a one page letter. If you think that I’m about to give advice on how to write a great query letter you’re sorely mistaken. The only advice I can give is to go find somebody who knows what they are doing and ask them to help you. That’s what I did. Oh and check out QUERY TRACKER. This is the site I’ve spent inordinate amounts of time on researching. It tells you everything you could possibly want to know about an agent. What they represent, whether they are taking queries, who their clients are, how many people have queried them, response times. And if you need a pick me up they’ve even got a section with success stories. So you picked your agent. You’ve sent your query and are waiting with bated breath and fingers crossed. You check your email fifty-nine times a day like a nut job waiting for those magic words to pop up in the subject line. RE: QUERY. And more often than not, instead of seeing, “I love it. Of course I’ll represent you and make you a superstar.” You get a rejection. Boy, do they stink and each one is like a little dart of self-doubt directed right at you writing heart. But rejections are apart of the writing business. And writing is subjective. It’s impossible to please everybody. So expect to be turned down often. There are three types of rejections that are common. This is my least favorite of all rejections. I realize that agents are people too and that they get inundated with queries. Yes, I understand that they get busy but so do we. And if we took the time to write a book, research you and submit chapters of our work to you, you could at least have the decency to tell us no. A no, can be a bummer but at least we know. There’s no wondering if they received it, no waiting, no holding out hope for a response. And seriously how hard is it to send a form letter? I’m okay with the form letter. I once got a form rejection four minutes after I sent out a query complete with a synopsis and fifty sample pages, which the agent asked for on their site. Unless they were super speed readers they probably didn’t read my query. But a quick no is always better than a slow no. It’s easy to move on from those. This can be a tricky one. I received a very sweet one this week. Thank you for submitting to our agency. There was some excellent prose in your first chapter and I was entertained by your writing, however I will not be able to offer you representation. It’s not your quality of work so much as the tight market and the fact that I only represent a very limited amount of commercial fiction. I truly believe this industry is very subjective and hope you find a home for this project somewhere else. That was nice. Did it take the sting out of being rejected? A little. But it was still a no. I’ve also got a rejection that stated my hero was low-class and that real people didn’t act the way I had written them. Ouch. That rejection also caused me to wish that agent never sold another book and that his agency went under. I know. I know. Mean. But writers have feelings because we are people and sometimes it’s better to say nothing at all than to tear apart somebody’s hard work. On the flip side not everybody is rejected all the time and when that reply comes, asking for more it’s a very nice feeling. YOUR TURN! Tell me what you think about rejections. Had a nasty one? A sweet one? Are you querying? Have an agent? How did you get yours? Query a publisher? How did that go? Of course any and all comments are welcome.